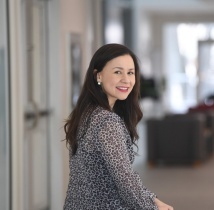 Amy Bombay is an Ojibway (Rainy River First Nation) researcher who completed her MA (2008) and PhD (2012) at Carleton University in Psychology and Neuroscience, and recently completed a 2-year CIHR Fellowship at the University of Ottawa Institute of Mental Health Research. In July 2014, Amy joined Dalhousie University as an Assistant Professor in 2014, being split between the Department of Psychiatry and the School of Nursing. She has led and been involved in various quantitative, qualitative, and mixed-methods projects investigating factors related to well-being and mental health among Indigenous adults and youth living on- and off-reserve. Her primary areas of inquiry have focused on exploring the relationships between historical trauma, contemporary stressor exposure, and stress-related pathology among Indigenous peoples in Canada. This work also explores how different facets of cultural identity are related to well-being through various mechanisms. One of her main programs of research has explored the different pathways by which Indian Residential School trauma is transmitted across generation, which has garnered extensive media interest and has been influential in influencing policy and practice related to Indigenous health.